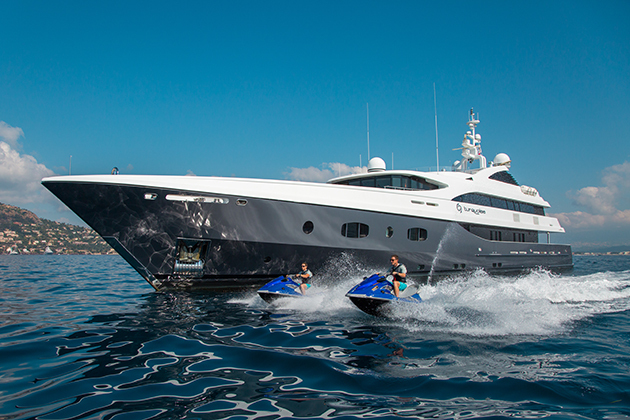 The superyacht plays a focal part in the evolution of the plot. The Turkish superyacht has enjoyed a staring role in the brand new Sky Atlantic drama Riviera. Early on in the first episode, Turquoise is shown at anchor off Monaco, with her owner hosting a private party on board, which includes the husband of the show’s main character. Moments later, there is a large explosion and the yacht goes up in flames, although thankfully for the superyacht community this is just clever use of CGI. The show’s setting of the French Riviera is one many will be familiar with, and the researchers have done their jobs when it comes to the accuracy of the locations. 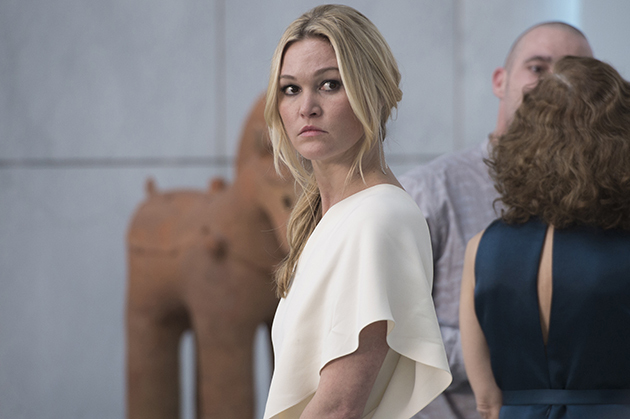 The lavish production also includes a bevvy of acclaimed starts, including Julia Stiles, Lena Olin and Adrian Lester. 55.4-metre Turquoise was launched by the Turkish yard Turquoise Yachts in 2011, and enjoyed a big refit this year when she always underwent a hull colour change, from white to a warm grey. An expansive sundeck inlcudes a large Jacuzzi and plenty of entertaining space. She sleeps 12 guests across six cabins, who are looked after by 13 crew. She is available for sale and charter through Burgess and Cecil Wright.